Benedict Inciong’s performance of 'If I Sing You A Love Song' -The Voice Kids - Balita Boss! 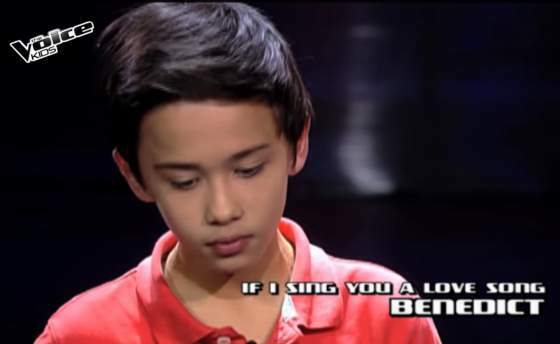 Benedict Inciong performed his version of "If I Sing You A Love Song" by Bonnie Tyler on The Voice Kids Philippines Season 2 Blind Auditions aired on Sunday, June 21, 2015. During his performance, Coach Lea and coach Bamboo pushed their buttons for the kid from Lipa City, Batangas. Benedict chose Bamboo as his coach.